What is light duty at work? What are my rights? Who decides job requirements? What is light duty at work? Can my employer force me to do a “made up” job? Can I be required to find another job? What happens if I refuse to do the work? What happens to my job after the claim is settled? Can they try to make me quit? 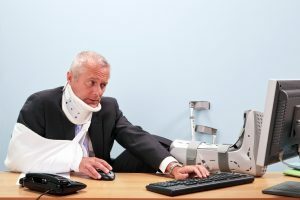 “Light duty” normally is associated with going back to work, but avoiding certain aspects of the job that could re-injure a person or prevent proper healing. Even if you want to keep working, sometimes the Employer can make that very difficult. Under the law in North Carolina, there is no guarantee the Employer is required to keep you in the same position or doing the same job. It can be incredibly demeaning. What is worse is that once a Compensation Claim is settled, there is no guarantee that job or the original position will still be availing. Answering the question, “What is light duty at work?” is a bit more complicated that you might expect. A lot depends on the type of work, the duties of the position, and the abilities of the Employee to keep working with reasonable accommodations. Hello. My name is Kevin Jones. I am a workers comp lawyer with the firm Dodge Jones Injury Law Firm in eastern North Carolina. It really depends on the circumstances of your case and where you are in the course of your treatment. 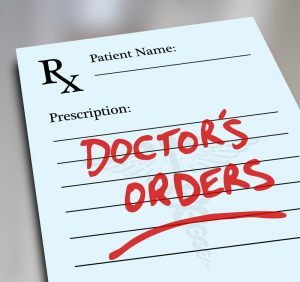 Your status as a patient with your authorized treating physician if it’s an admitted comp case makes a difference on whether or not what’s being offered to you is appropriate under the law. It can become very complicated, because there are lots of factors that have to be looked at, but when it comes to certain situations, yes, the employer can put you in a made up job. They can have you sit and stare at the wall and count floor tiles. They can have you do whatever they want that’s within the restrictions that are given by the doctor under certain circumstances. Then there are other circumstances where they cannot. Your situation, it really depends on the facts of your case. If there is a concern about being placed in a job that’s not a real job, and then as soon as the benefits stop in the workers comp case, then of course if it’s not a real job, the odds are that job’s going to go away very shortly thereafter, and then where are you? You don’t have benefits being paid by workers comp anymore and now you no longer have a job because they really didn’t need you in a job that they made up just for you. Whenever you find yourself in that situation and you’re concerned, you really do need to talk to a workers comp specialist to see what your rights are, to see what you do and don’t want to do, and I’m happy to sit down and talk with you about that. Give us a call. The consultation’s free.